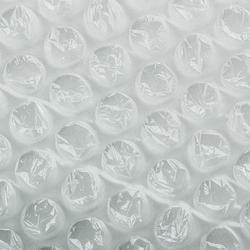 GELID Air Bubble is made of two layers of LDPE sheets. The air is entrapped between two layers to give excellent cushioning. The air bubble film is available in roll form in varying lengths, width and gauge .It is shock resistant and moisture proof material. 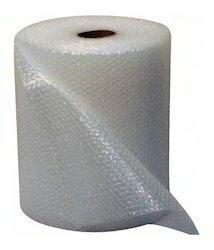 Air Bubble Roll provide cushioning and protection against breakage and damage in transit. Air Bubble Roll is resilience, flexibility and resistance to shock and abstraction including excellent mechanical properties. Air Bubble Roll offers high moisture resistance, convenient to handle. This 10 mm air bubble roll is available in standard thickness of 180 to 600 gauge, width 0.5 meter, 1 meter & 1.5 metre and length of 100 meter and customization available in terms of width / length (MOQ applied). 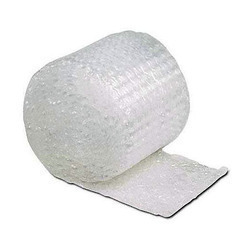 GELID Air Bubble film roll is made of two layers of LDPE sheets. The air is entrapped between two layers to give excellent cushioning. The air bubble film is available in roll form in varying lengths, width and gauge .It is shock resistant and moisture proof material. Air Bubble bag provide cushioning and protection against breakage and damage in transit. Air Bubble sheet is resilience, flexibility and resistance to shock and abstraction including excellent mechanical properties. Air Bubble Roll offers high moisture resistance, convenient to handle. This 10 mm air bubble roll is available in standard thickness of 180 to 600 gauge, width 0.5 meter, 1 meter & 1.5 metre and length of 100 meter and customization available in terms of width / length (MOQ applied). 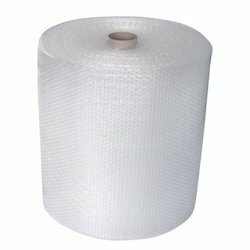 With the continuous support and sincere efforts put by our experienced professionals,we have been the prominent trader and supplier of a qualitative range of Bubble Roll. The provided bubble roll is well-manufactured at our vendor's end under the guidance of highly experienced professionals using premium. GELID® Air Bubble Film is made of two layers of LDPE sheets. The air is entrapped between two layers to give excellent cushioning. The air bubble film is available in roll form in varying lengths, width and gauge .It is shock resistant and moisture proof material. Air Bubble Roll provide cushioning and protection against breakage and damage in transit. Air Bubble Roll is resilience, flexibility and resistance to shock and abstraction including excellent mechanical properties. Air Bubble Sheets offers high moisture resistance, convenient to handle. This 10 mm air bubble roll is available in standard thickness of 180 to 600 gauge, width 0.5 meter, 1 meter & 1.5 metre and length of 100 meter and customization available in terms of width / length (MOQ applied). Looking for Air Bubble Film & Roll ?